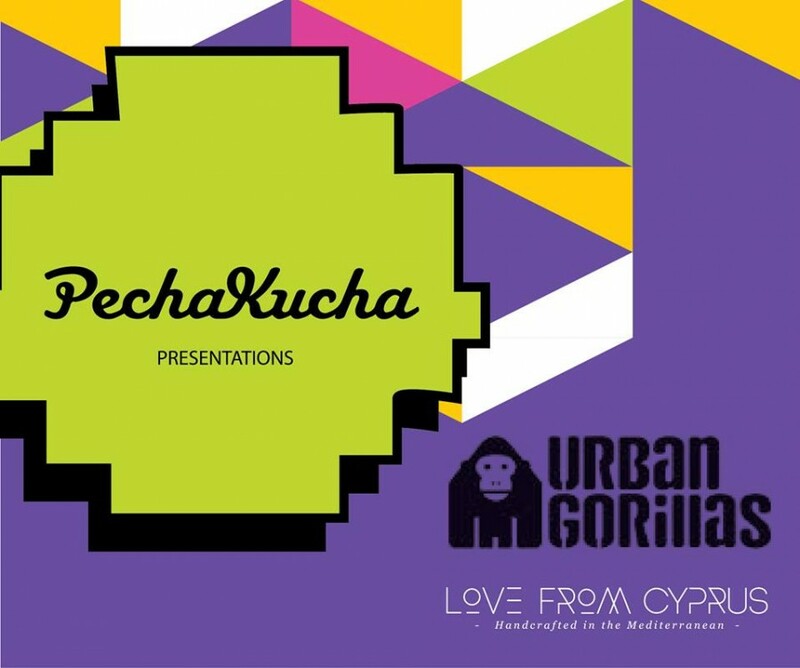 Urban Gorillas joined the global Pecha Kucha movement on Sunday 24 May 2015 at 19:00 along with seven other local NGOs and social innovators to present their ideas in this charming 20×20 format. 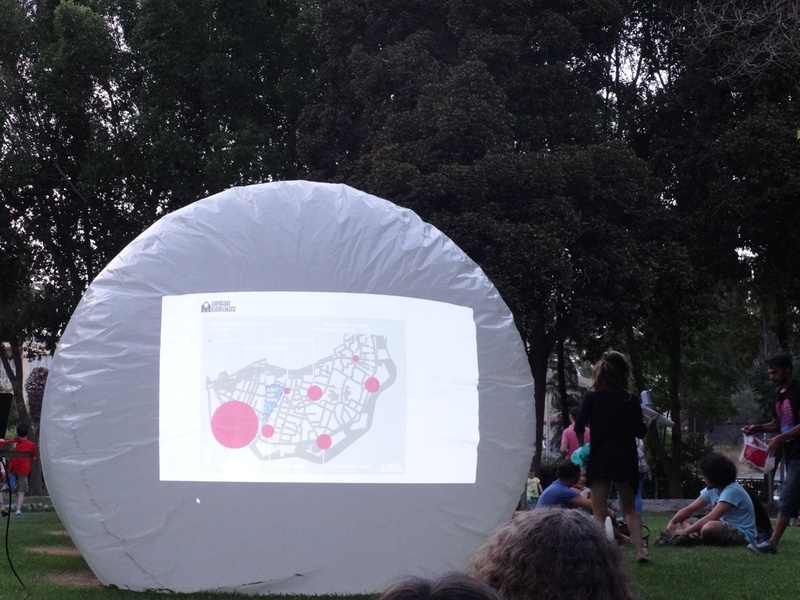 We shared our thoughts on public space – what is it, whose is it, and what can we do with it! 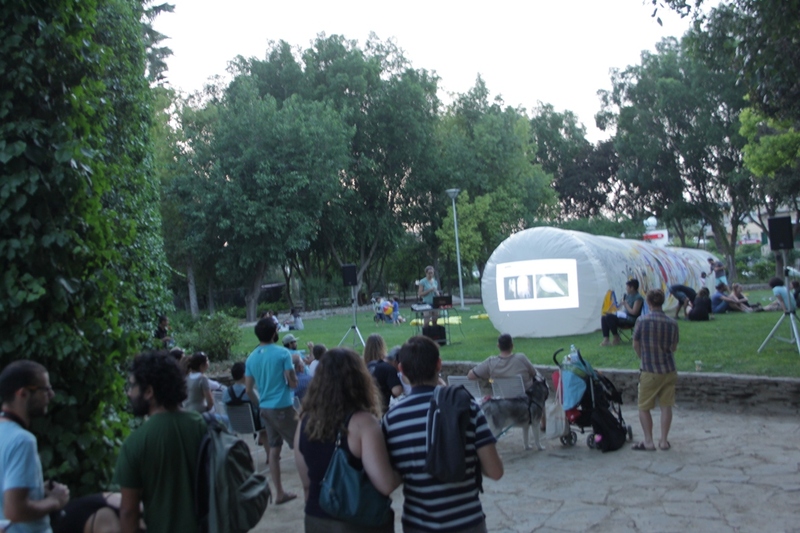 All presentations were projected on Urban Gorillas’ giant DNA inflatable structure that was installed as a playful and interactive social space at the Festival. 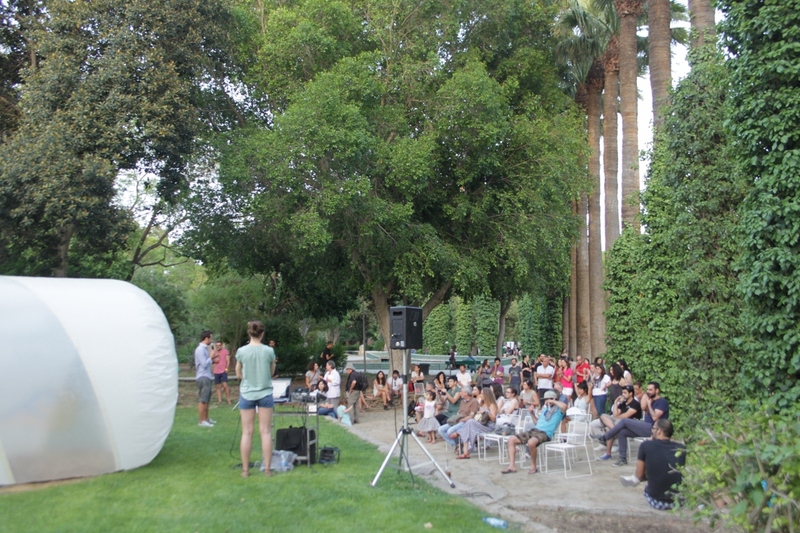 The structure was created in collaboration with Plastique Fantastique and Inflating the Public_2 workshop participants back in November 2014. Big thanks to all who came out and joined us at the Pecha Kucha event at Festival NEON!